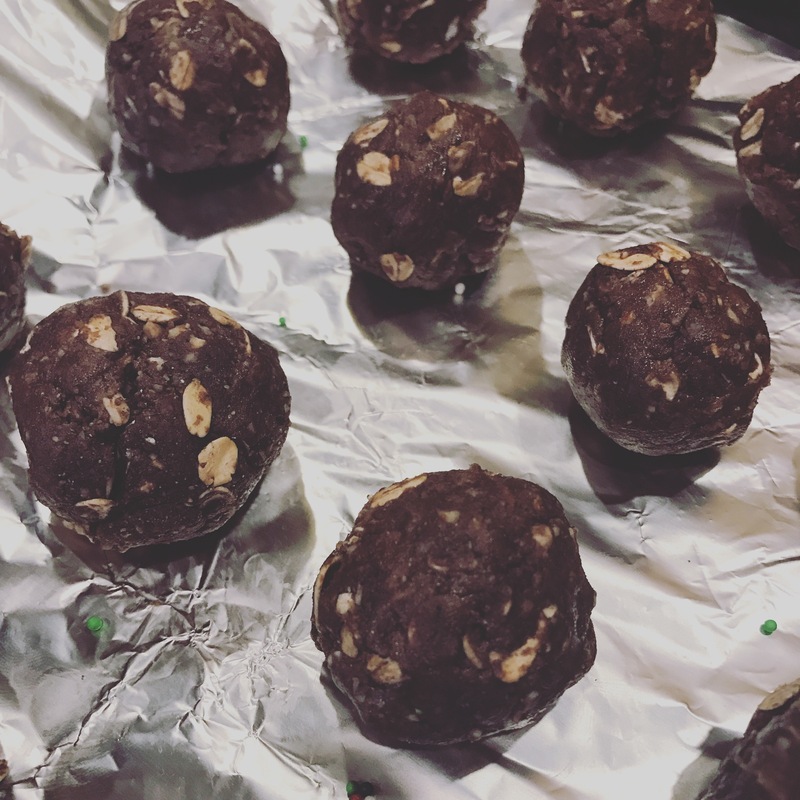 One of my all time favorite go to quick snacks that offers protein, whole grains and tons of energy and will save your sweet tooth! The whole family LOVES them! Bonus Tip: If you are making them with kiddos I suggest letting them a roll a few of theirs in sprinkles at the end! 1. Combine nuts, Shakeology, and oats in a medium bowl; mix well. 2. Add almond butter and honey; mix well with a rubber spatula or clean hands.